The House of Jones: Rebekah is Four Years Old Today! Rebekah is Four Years Old Today! 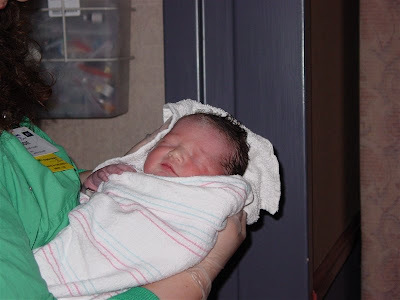 Rebekah Shelaine joined our family on Friday, March 11th, 2005, at 10:11 a.m. She brings so much joy and laughter to our family. Over the past few weeks I have seen her grow up more and more, right before my eyes. She's not my little baby of six pounds and fifteen ounces anymore! 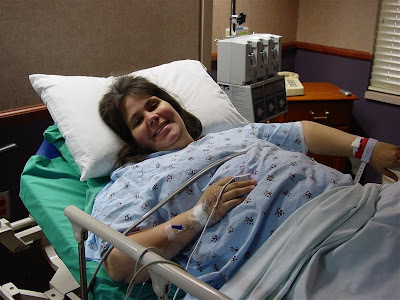 Here is a shot of me, waiting and getting all prepped for my c-section. It was a scheduled c-section and I never went into labor with her. That's why I'm all smiles! However, just before this was taken I had passed out in the bed while they were putting my IV in. Made things interesting!!! This is NOT a staged photo. 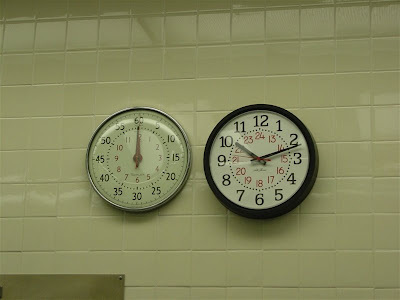 She was pulled out of my tummy and the nurses and doctor yelled to Jon Paul to take a picture of the clock. So, he did and he got it perfect. Here is little Bekah all cleaned up after her first sponge bath. It wore her completely out! When she was about five hours old, the nurses were a little concerned about her breathing. 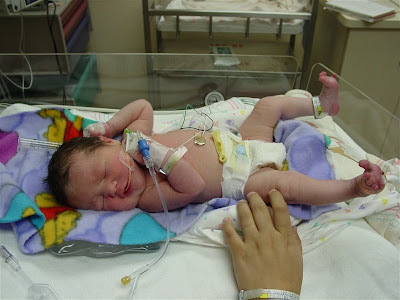 So, they took her to the NICU. She was only supposed to be back there for a few hours. That few hours turned into two days! I was really sad because I wasn't there when Rachel saw Rebekah for the very first time. I was still hooked up to everything and couldn't get out of bed. 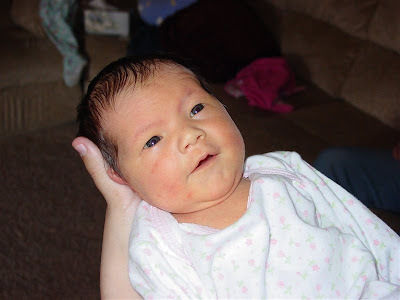 So, Jon Paul and his mom took Rachel down to the NICU to show her Bekah for the first time. The first thing Rachel said was, "She not have pink hair!" Rachel was CONVINCED that Rebekah would have pink hair. Here is Rachel getting to hold Bekah for the very first time. She was so excited to get to kiss her, traditional kisses, eskimo kisses and butterfly kisses. Isn't she adorable? I'm blessed to be her mother and cannot imagine my life without her. 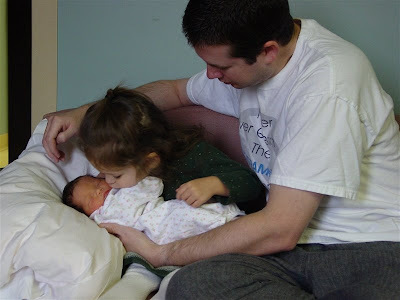 In honor of your fourth birthday, Rebekah, here are four things I love about you! 1. I love your silly kisses. You didn't want to give kisses for the longest time. Now you can't give us enough! You love to make up more kisses in addition to the traditional, eskimo and butterfly kisses. Tonight, you gave me a calendar kiss! 2. I love your shy personality. Such a difference from your sister! 3. I love going shopping with you. You are a big helper and make the trip fun. You hardly complain at all about being there, which makes Mommy really happy! 4. I love your prayers at night. So innocent and pure. well, happy birthday, Rebekah! You still look like your baby pictures!!! I know, I know. I've been a BAD blogger. I'm getting ready to post something! I hope it makes you all very happy!